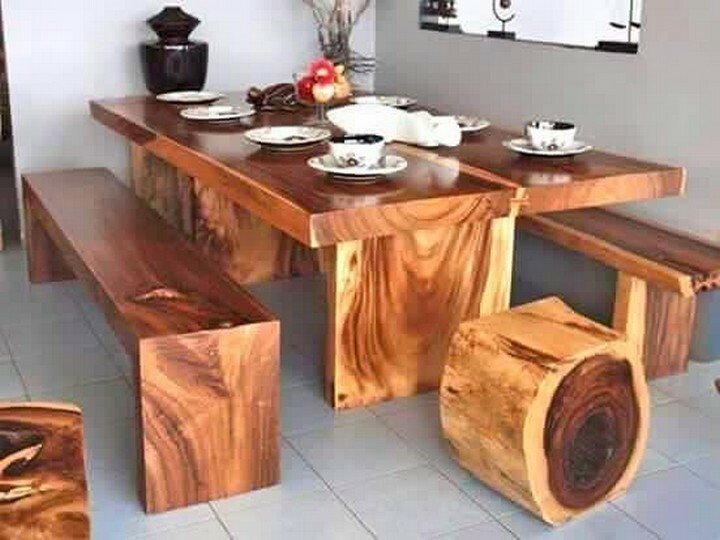 So guys, had enough of the pallet wood projects? I somewhere deep inside my heart strongly believe that there is no limit of skill. Nobody can ever say or dare to say that I have mastered some art or especially the art of wood pallet recycling because there are some crafts that I have seen, they look like near to impossible for many of the crafters. There are still many things that need to be explored uptill now. Here we have got really very amazing wooden carved creations from which I would urge the amateurs to simply stay away. 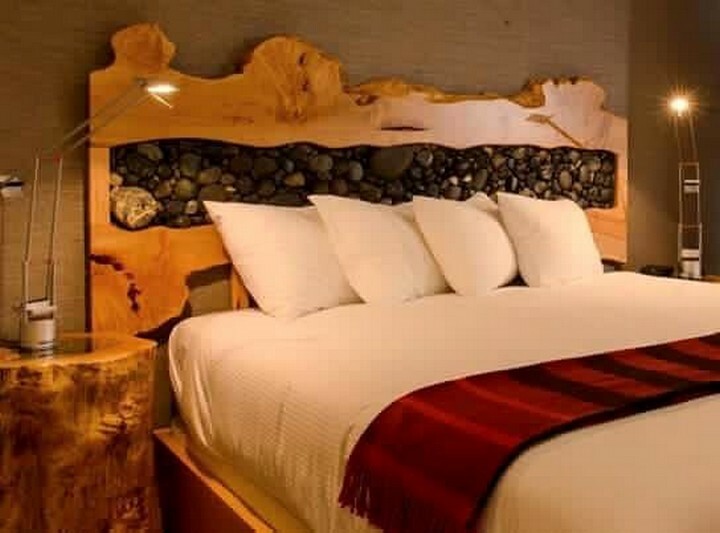 I mean who among us would have ever thought of making this elegant carved wooden headboard and the similar side table that are made with same debarked wooden pieces? 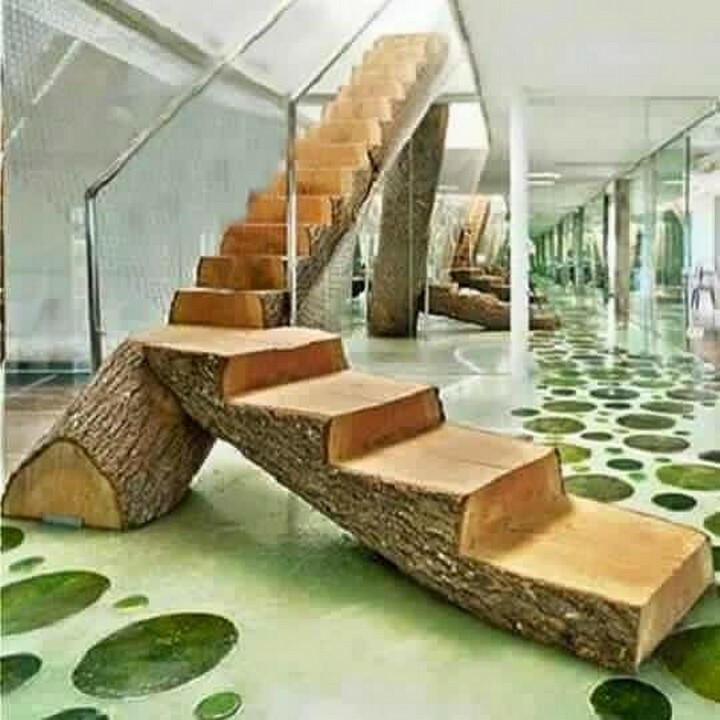 This is something entirely different from the wood pallet work, isn’t it? I am just driven away with the grace of this installation. Now count on this smartly carved wooden planter. 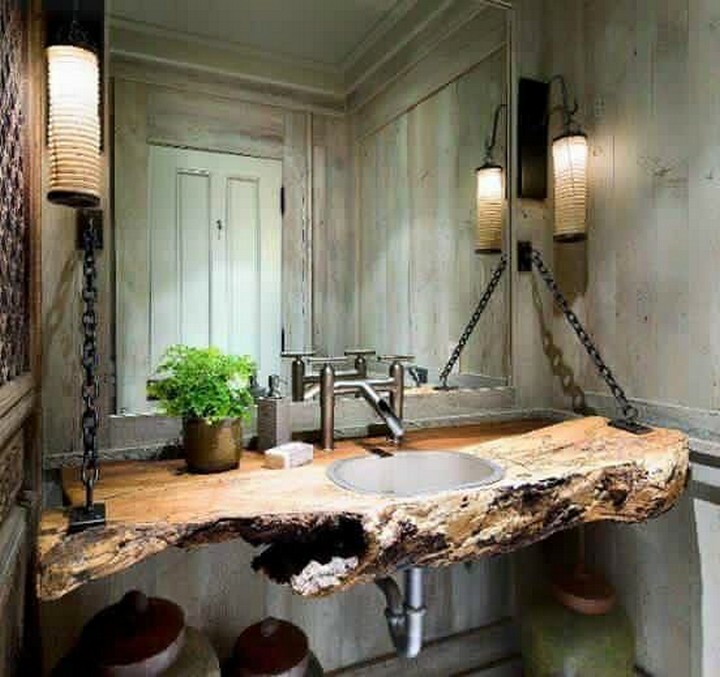 This is obviously not made using the pallet wood planks that is far easier job for all of us, and do you know about the patterns or stains drawn on it? This is actually made with a flame gun. These decoration pieces simply look out of this world. 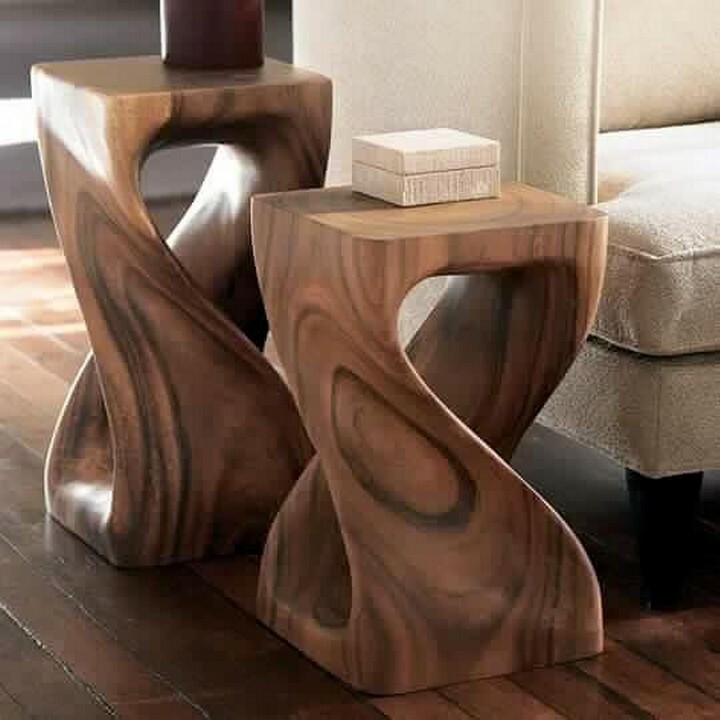 Just look at their twisted round posture, seems as if some wooden object is dancing being intoxicated, these are the miracles of skill of some higher level. Such a smooth texture is obtained from some specific waxes that are especially designed for wood finishing. I am not really ready to take it, I mean this is something really beyond my comprehension. 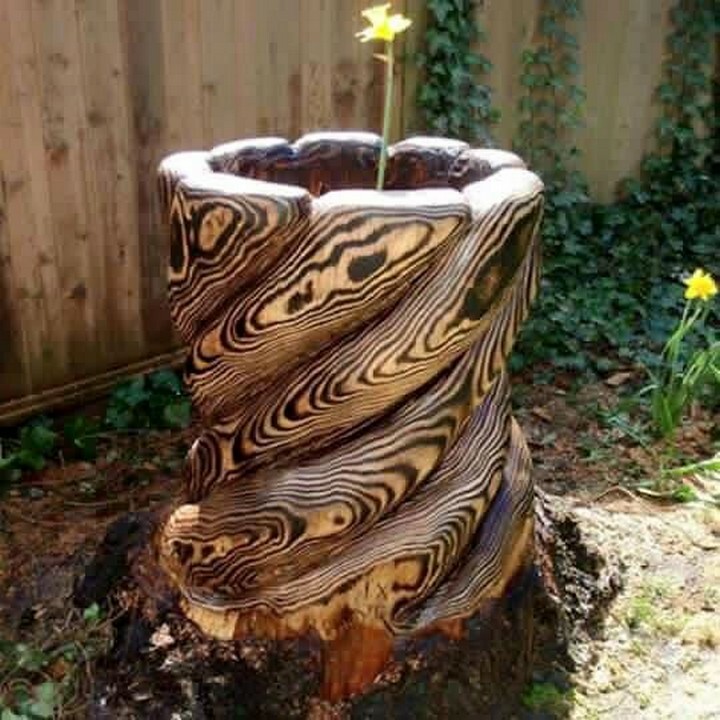 Like how exactly the tree was cut like this and shaped and molded this way, this is something that freaks me out literally, but this is called the wood work and there many mentors who make such wonders possible. 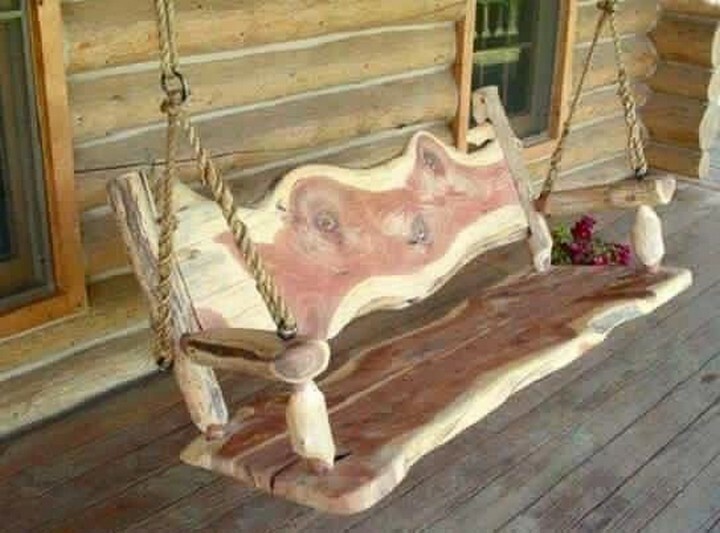 We have seen so many wooden pallet made swings, but this carved swing made with the debarked wooden piece out of a whole tree is simply phenomenal. This is simply matchless and has got no substitute at all. This gives a royal touch and feeling. 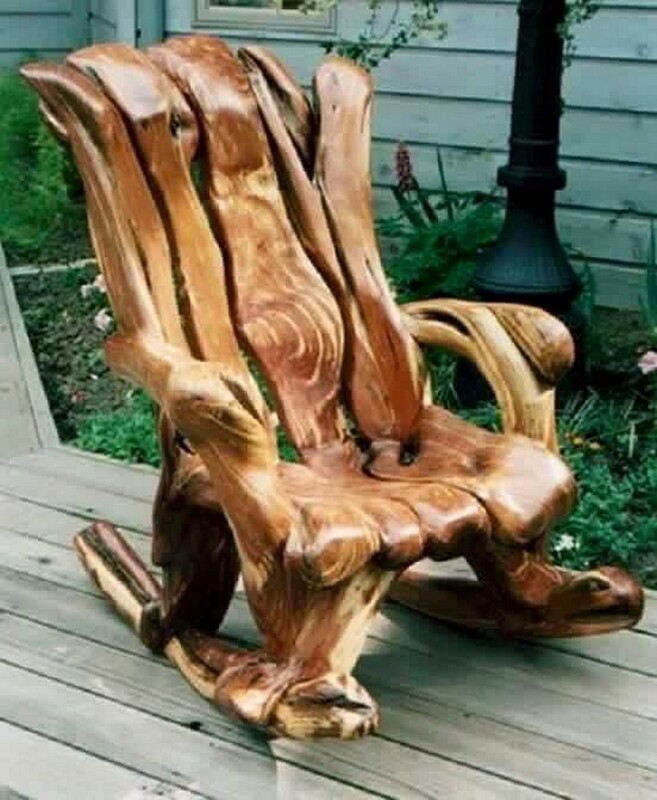 And now what about this rocker wooden chair? Each next wooden carved project is better than the last one, and when compared with one another we simply become nervous that which one is best. Nut the thing to be discussed here is the art and the level of skill that is demonstrated in all of these creations. This one could look a bit simpler and easier, but again while working on whole cut tress and dealing with their weight and thickness, your tools and equipment must be extra smart and advanced, this could be rather a bit easier to cut them in simple plank shape. But here again we have come across something that literally breath taking. I am so amazed at each one of this whole project. 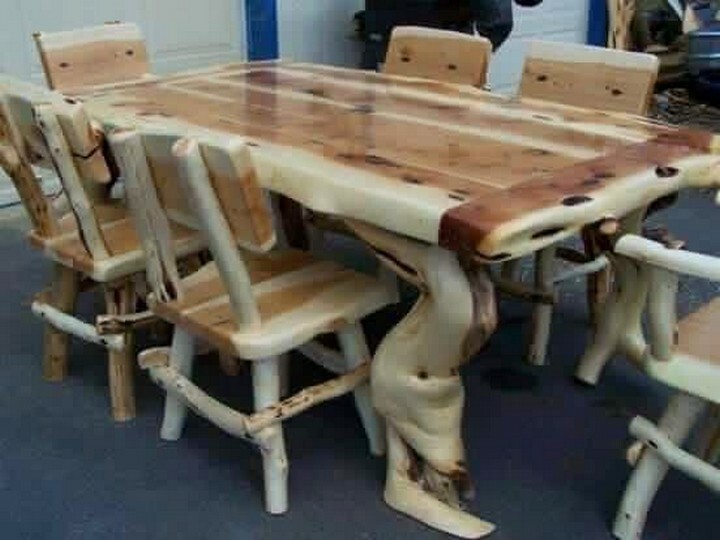 The crafters who have done this have really served the best of the justice to the wood work and have taken it to some next level.